C.L.R. Dougherty: One, two, three … nine books … thoughts on writing a series. One, two, three … nine books … thoughts on writing a series. 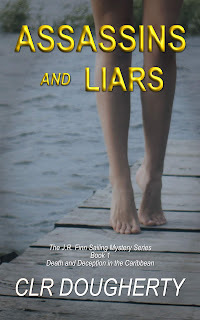 In March of 2012, as I was finishing the second book in my Bluewater Thriller series, I wrote a blog post about my experience. By now, I’ve written seven books in that series, and I just released the second book in a second, related series. 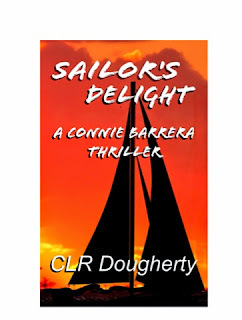 Sailor’s Delight - a Connie Barrera Thriller is available now in the Kindle Store. I thought it might be time to revisit the question of writing another series. At least it’s sort of another series. In some ways, it’s more of a fork in the road of the first series. Connie Barrera played a major role in my first novel, Deception in Savannah. That was before I was even committed to this notion of writing full-time, let alone writing a series. We got to know one another then, but it was only after I was well into the Bluewater series that I saw Connie’s potential. 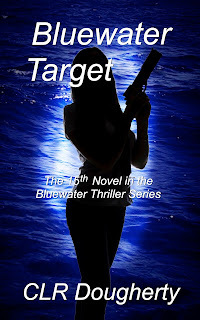 I decided to feature her in Bluewater Ice, the fourth Bluewater book, as a guest on the charter yacht, Vengeance. 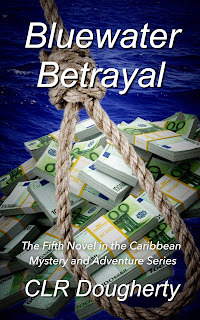 She played so well with Dani and Liz that we collectively decided that she should stay for another book, Bluewater Betrayal. After that, though, two things happened. Dani and Liz were getting tired of sharing the spotlight with this dark-haired interloper, even though they were fond of her. That could have been sticky, but Connie solved the problem when she decided she wanted her own boat. Her own story as a charter captain began in Love for Sail and continues in Sailor’s Delight. While she was hanging out with Dani and Liz, she met a friend of theirs named Paul Russo. 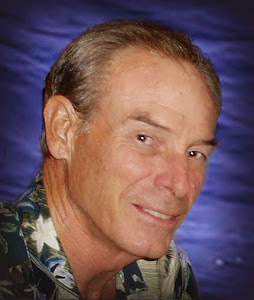 Paul had just retired from his position as the head of the Miami P. D. homicide department. 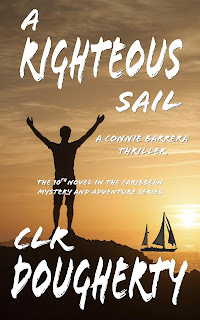 He had two compelling interests which caught Connie’s attention – sailing and gourmet cooking. Thanks to Dani and Liz, Connie had become a fine sailor, but she had no aptitude for cooking. She knew that if she wanted to run a successful charter yacht, she needed a first-rate chef. 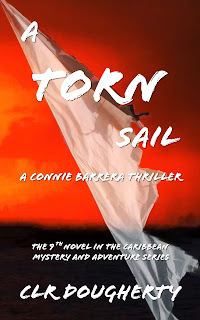 Being the opportunist that she is, Connie persuaded Paul to join her as crew on Diamantista, and the Connie Barrera Thrillers got their start. 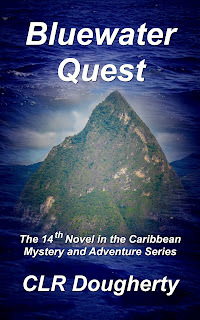 During their first adventure in Love for Sail, she and Paul managed to survive an encounter with drug smugglers. 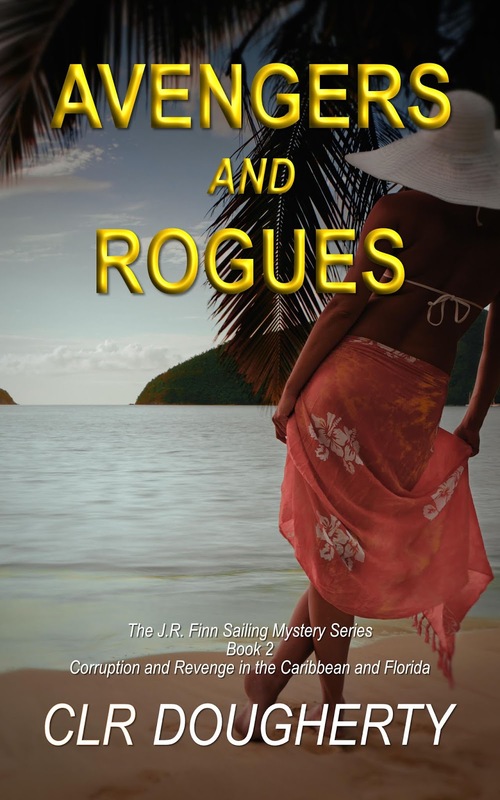 In the process, they discovered that they shared a love for more than just sailing. Committed to being partners in life as well as business, they decided to sell Diamantista, get married, and buy another, more suitable yacht together. In Sailor’s Delight, they’re waiting on delivery of the new boat and planning their wedding when their second set of charter guests arrives. They’re also wrestling with problems in their relationship that are exacerbated when their guests’ teenaged daughter is kidnapped by human traffickers. 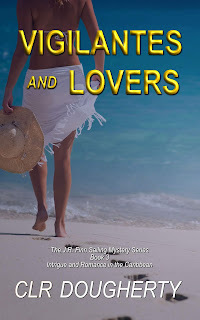 Paul and Connie don’t agree on the best way to recover the girl, and there’s some doubt as to whether either their romance or the missing girl will survive. I’m having fun with this second series, because I can bring in some of the more interesting secondary characters from the Bluewater series and add more depth to them. That’s how Connie got to where she is, so she’s willing to help. Once her series is well-established, it could be that Sharktooth, or Phillip Davis, or Marie Lacroix will want the chance to tell tales of their own. It’s great fun to work with this expanding group of characters who all know one another. That’s an unforeseen benefit of having a second series branch off from a well-established one. Speaking of the well-established one, I hear Dani and Liz grumbling. It’s time to get to work on the eighth Bluewater Thriller now. It's amazing how characters can take over the author's will - as if they're driving the pen, or the keyboard. I love when a character decides to write the story and all I need to do is keep up with the dialog and action. My last book, Pangaea Eden Lost, was like that. A scene was outlined as a chase and catching a dying man. When the catch happened, it was a young female and the next five chapters were written over the next two days so fast that my fingertips got sore. I'd not considered it a series, but now, I'm giving it thought. Good luck with the new series. I love it when that happens! The best books are when the characters take over and do their own thing. Sounds like an awesome series! That's amazing - not experienced this yet as only write non-fiction - but if and when I tackle fiction I'm sure it will happen. Incredible expeirence. So fun when your characters become your friends! Love this post. I can totally relate! I love that you were able to take a character you loved and spin her off - seriously, it's just like a TV show! Great job!